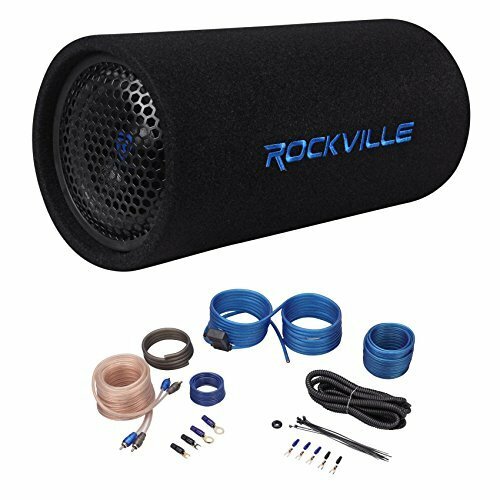 BAZOOKA BT8024DVC 8 Inch Car Audio Subwoofer Passive Tube Stereo Bass EnclosureCategory: 8 Bazooka TubeEnhance your sound system with this Bazooka Bass Tube Series Dual Passive Tube, BT8024DVC, 8". This Bazooka Tube provides quality sound with an output power of 400 watts at 4 ohms. 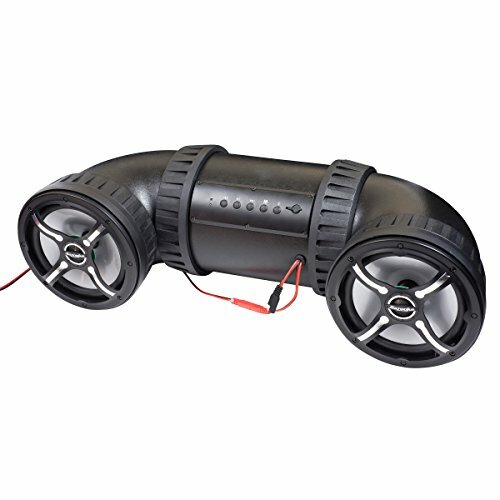 With its dual voice coil subwoofer, this Bazooka speaker tube allows for multiple wiring options. The Bazooka Bass Tube Series Dual Passive Tube, BT8024DVC, 8", also features mounting straps for optimal placement. Amplify the bass of any sound or music with this Bazooka Tube. 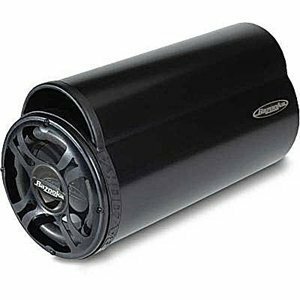 Bazooka Bt8014 Bt Series Passive-tube Subwoofer (8", 150 Watts)Category: 8 Bazooka TubeIf you want a great mobile sound system, but don't want ear-pounding bass, the Bazooka BT Series Passive-Tube Subwoofer (8 in., 150 Watts) is a perfect solution. 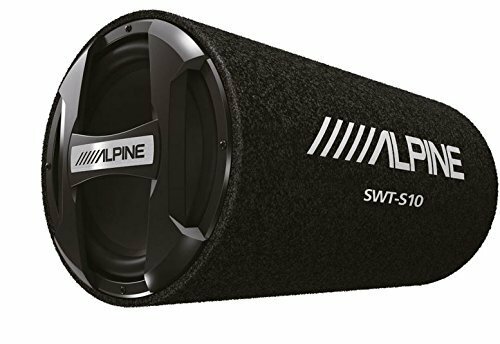 This compact high-power woofer can help you take care of the lack of bass in most car audio systems, without sacrificing storage space in your car. 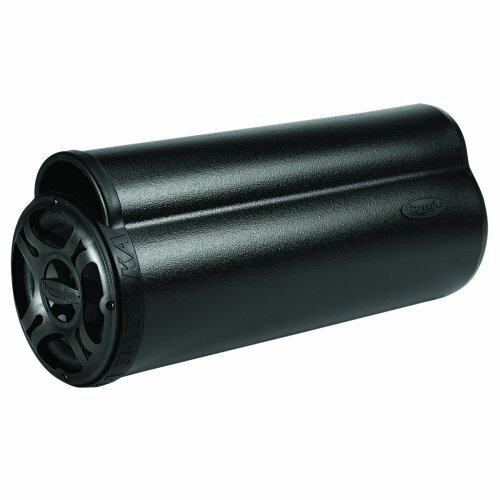 The bass tube fits easily behind the seats of a full-size pickup or in the trunk of a sedan, coupe or hatchback. It also offers versatility by allowing you to move it between vehicles, so you can enjoy great sounding bass for years to come. 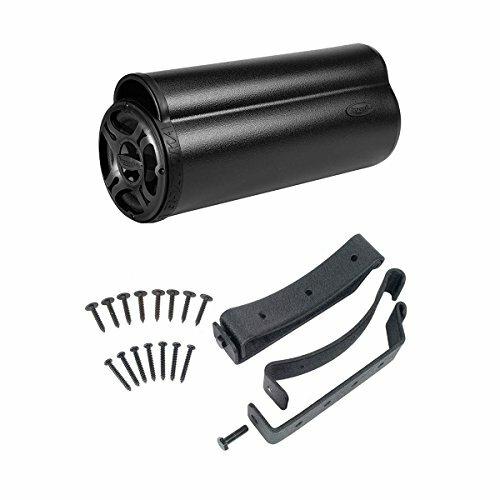 BAZOOKA MBT8014 8" 4 Ohm 150W Marine Subwoofer Passive Tube Ported Sub EnclosureCategory: 8 Bazooka TubeLooking for the best of both worlds? If you're one of those people who needs ample bass to complete their audio system, but don't want to shatter windows, or give up tons of cargo room, the MBT8014 may just be your best friend.The BAZOOKA MBT8014 is the perfect solution to the lack ofbass in most car audio systems. 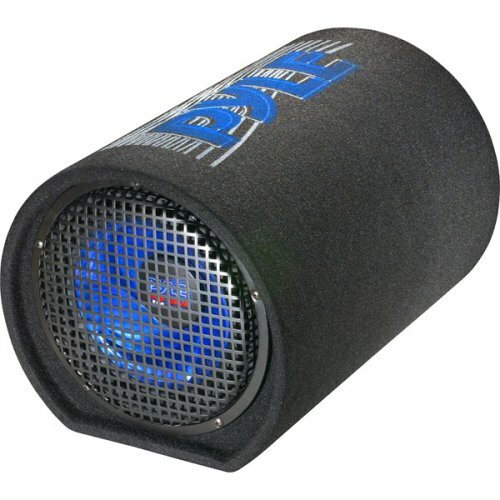 With a 8-inch high power handling woofer, it can restore that missing low end in your system without sacrificng that precious storage space in your trunk.The perfect fit in any car, this subwoofer tube is great for full-size pickups, sedans or coupes, or hathcabacks. Power Acoustik PD-710B 7" DVD Receiver & Bazooka BTA8250D 250W Class D Tube Subwoofer 8"Category: 8 Bazooka TubeMax out your sound options by replacing your old car stereo and adding a subwoofer! First, upgrade your head unit to Power Acoustik’s PD-710B 7 in. Single-DIN In-Dash LCD Touchscreen DVD AM/FM Receiver with Bluetooth! This media player plays your favorite DVDs and CDs plus MP3 and MP4 files from discs, SD Cards or USB flash drives. Bluetooth technology lets you answer calls hands-free and also stream MP3s from enabled devices. This head unit also has a theft-deterrent detachable faceplate. Then, add a subwoofer to kick up the sound quality! This 8 in. BT Series 250-Watt Class D Amplified Tube Subwoofer from Bazooka is the most powerful and best-sounding amplified tube subwoofer Bazooka has ever made. If you demand unprecedented performance, this woofer is for you! 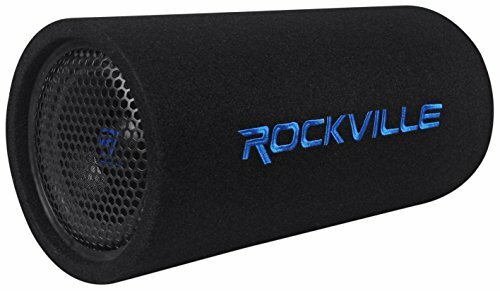 Bazooka Bt6014 Bt Series Passive-tube Subwoofer (6", 100 Watts)Category: 8 Bazooka TubeIf you want a great mobile sound system, but don't want ear-pounding bass, the Bazooka BT Series Passive-Tube Subwoofer (6 in., 100 Watts) is a perfect solution. This compact high-power woofer can help you take care of the lack of bass in most car audio systems, without sacrificing storage space in your car. 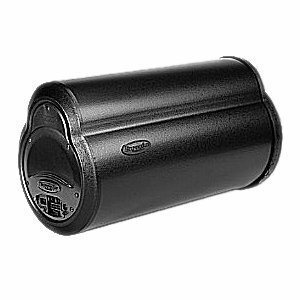 The bass tube fits easily into small spaces such as behind the seat in a mini pickup or behind interior panels. It also offers versatility by allowing you to move it between vehicles, so you can enjoy great sounding bass for years to come. Bazooka BTA8250D BT Series Class D 8" Amplified TubeCategory: 8 Bazooka TubeThe Bazooka Amplified Tube, BTA8250D BT Series, is a Class D 8" amplified tube. With 250 watts of pure digital power and optional speaker level output, this amplified tube is the most-powerful sounding amplified tube Bazooka has made. The tube uses a dual-voice coil subwoofer to deliver top performance without requiring a lot of space. Adding a Bazooka tube is a quick and effective way to upgrade your existing mobile audio system. 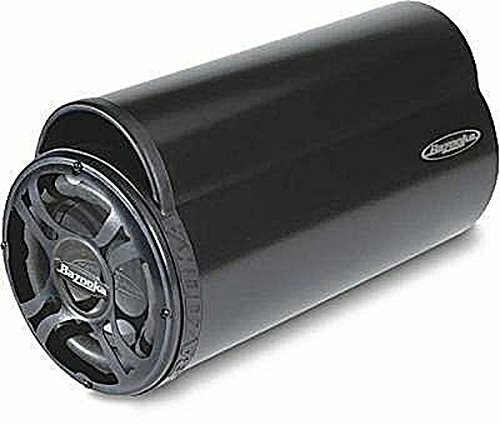 Bazooka Bt1024dvc Woofer - 250 W Rms - 500 W Pmpo - 39 Hz To 1.50 Khz - 4 Ohm - 10" (bt1024dvc)Category: 8 Bazooka TubeEnjoy quality sound in your car with the Bazooka BT1024DVC Passive Tube. The 10" Bazooka Tube Subwoofer features mounting straps for easy installation. It also has a dual voice coil subwoofer for improved audio. 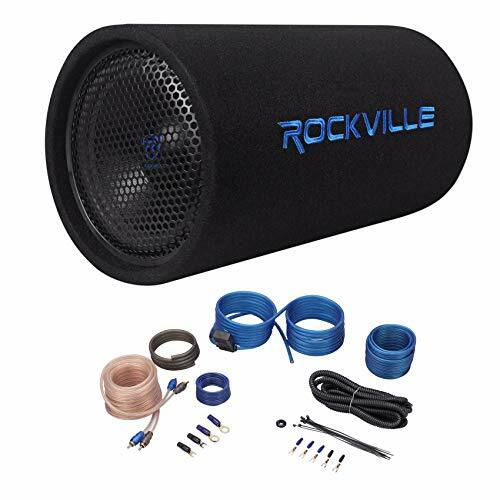 This subwoofer provides rich, deep bass tones for an enjoyable listening experience while you are in your vehicle. Listen to your favorite music the way it is meant to be enjoyed with this Series Dual Bazooka Bass Tube. NOT COPYRIGHT FROM MAIN STREAM RADIO My 07 Dodge Magnum 3.5L V6 playing mainstream radio "The Hills" by The Weekend with an old sound system I had laying around. Its a Pyle flip up, touch screen head unit, factory 6 x 9 speakers (there are 4). Connected to Sony Xplode 444W 4 channel amp. Also linked up to it is an 8" Bazooka Tube Subwoofer. For now, it will work. I'd like to get 2 10's, 3-way 6 x 9's and a 3000 watt amp. But for now... This will work.